Open Friday-Sunday, approximately noon-5 p.m. In December, 2017, the WVMHoF moved into a storefront on the second level of the Charleston Town Center. 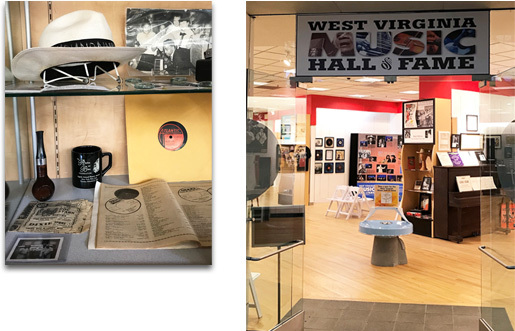 With exhibits, displays and a retail section, the store has introduced the WVMHoF to an entirely new audience. In the first six months alone, more than 5,000 people visited the store. In August, we were presented with the opportunity to move across the hall to a larger space, formerly the home of The Gap. With approximately three times as much room, our curator and designer Gavin Wissen quickly turned the space into a showcase. 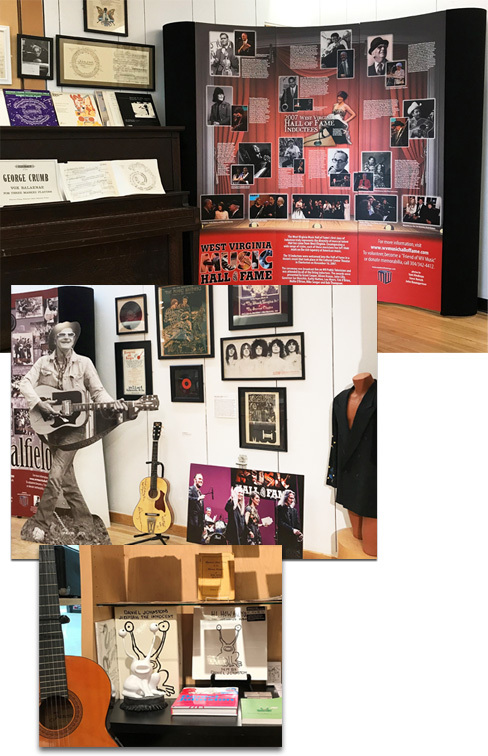 In addition to displays, shelves of memorabilia, computer stations with DVDs of all seven Induction Ceremonies, there is a display of more than 50 vintage guitars, ranging from Fender and Gibsons to Silvertones, Teiscos, Supros, and Nationals.